Bactrocera latifrons Hendel is a species of Asian origin. It is a major destructive pest of fruits and vegetables of the family of Solanaceae and, to a lesser extent, Cucurbitaceae. It was detected for the first time in Burundi in 2016, in the province of Kirundo in the north of the country. Since this detection, a study using fruit rearing methodology was conducted in five agro-ecological zones of Burundi from July 2016 to April 2017 to determine the distribution of B. latifrons, and to analyze the infestation rate on African eggplant (Solanum aethiopicum). 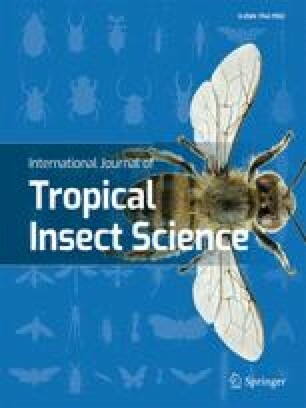 The results of this study revealed that B. latifrons has invaded all the agro-ecological zones of Burundi, and could invade neighboring countries. We sincerely thank the farmers who gave us access to their eggplant fields. We thank Eng. Emmanuel Manirakiza, Dominique Ndayizeye for the collection of the samples and Mathias Nyabenda, Technician in the Biodiversity Laboratory, for the follow-up of the incubation process and its participation in the collection of emerged individuals. Finally, we would like to thank Dr. Marc De Meyer of the Royal Museum of Central Africa in Tervuren, Belgium, for confirmation of the new species.